Today is World AIDS day. Special awareness events are held all over the world. 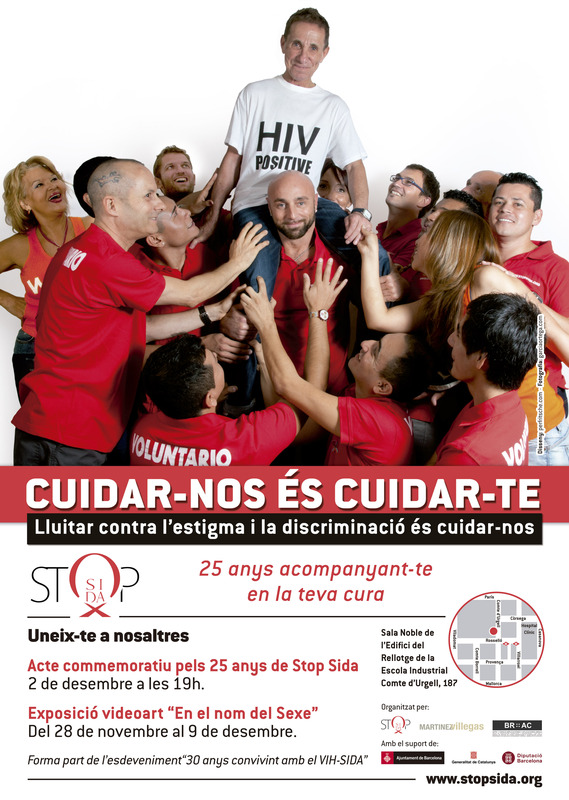 In Barcelona, the nonprofit AIDS help organization Stop Sida is also celebrating its 25th anniversary. Together with Oscar García Ortega I had the chance to develop the ad campaign for this occasion. We did the photo session on October 15 in less than three hours. Many volunteers from Stop Sida’s different commissions showed up in order to take part in our testimonial shooting for the campaign. The campaign’s claim is “Cuidarse es cuidarte” which means “Taking care for oneself is taking care for you”. This motto adapts to the campaign’s different sub messages. One was to find more financial support, another one was to attract new volunteers, and one will be directed especially to gay and bisexual men from Latinamerica. The ads will be launched in December issues of Shangay, NOIS, GayBarcelona and other magazines. Posters and flyers will be distributed to several simular institutions and bars in Barcelona. I think you can tell from the result how much fun we all had doing the shooting. Stop Sida for their 25th anniversary!